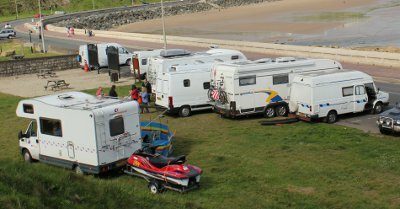 Why Do Councils Ban Motorhome Parking? Update 05/12/2012: The no overnight parking ban on motorhomes in key areas of Scarborough’s visitor parking is now being put in place in the town. No overnight parking signs have appeared on Marine Drive and are expected to follow in Spa Drive, West Pier, King Street, Eastborough and Quay Street. For full details, click here. For details of permitted parking areas, see below (21/05/2012). 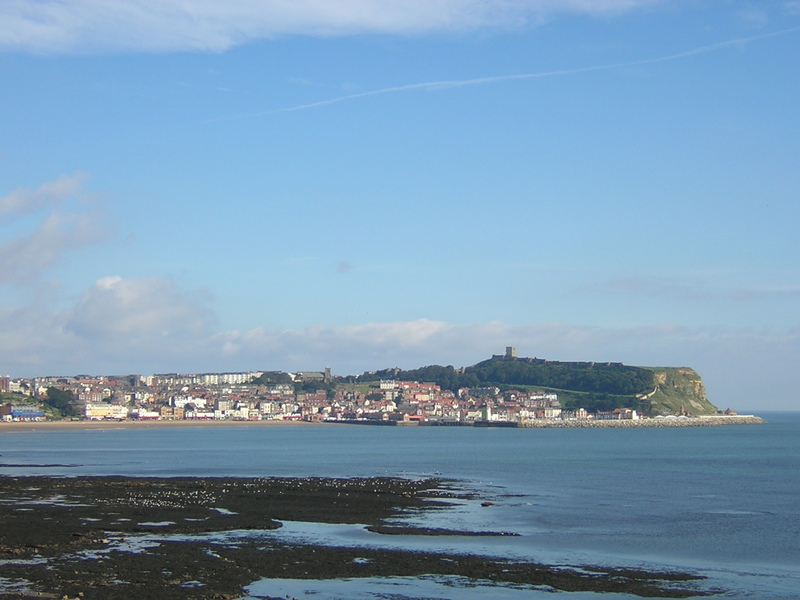 Update 15/10/2012: Just up the coast from Scarborough is Whitby, which is also administered by Scarborough Borough Council. Whitby is also going to ban motorhomes from overnight parking in popular areas, and the town has made a policy decision not to provide dedicated overnight motorhome parking because of “a change of use and planning permission would be required and there is also a fear that establishing a motorhome park would set a precedent and risk blighting the town“, according to the Whitby Gazette (emphasis mine). Not sure how a paid motorhome parking facility would blight the town, but there you go. We aren’t loved unless we’re on a campsite. Full story here. Update 21/05/2012: Scarborough Council have decided to take a surprisingly enlightened approach to this problem and designate a car park in which motorhomes can stay overnight for a fee. Naturally, they will be banned from overnighting in other parking areas. I know the car park concerned (next to the Sea Life Centre and Scalby Mills pub) and it is not a bad location at all, with good views and a nice pub to hand. However, it is quite a walk from the town centre/South Bay seafront and I suspect that a lot of motorhomers won’t be keen, even though it is far better and more sensible than a blanket ban. Other towns in the Scarborough Borough Council area (e.g. Whitby) will also have designated car parks. Click here for the full story. Update 10/04/2012: As I predicted in my original post below, Scarborough Council is now moving closer to banning motorhome parking altogether in some parts of town, thanks to a concerted campaign of nimbyism by some locals who don’t like motorhomers. No doubt inconsiderate idiots like those pictured below have also contributed to the anti-motorhome feeling. 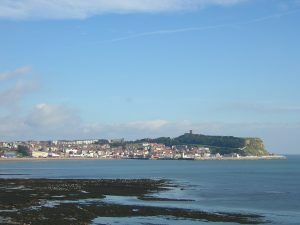 I recently spent a long weekend in Scarborough and noticed that, unlike at many seaside resorts, overnight motorhome parking is permitted in the pay and display parking that runs along Marine Drive, the road that runs around the headland between Scarborough’s North Bay and South Bay. This is a cracking place to park overnight, with terrific views and a convenient location, just a few minutes walk from both beaches and not far from the town centre. We visit regularly, and throughout the year there are usually a few motorhomes parked up, normally in a tidy respectable way, on their own and enjoying the views. Several of them were clearly in a group together and thanks to the motorhome that was parked on the picnic area, complete with windbreak, awning and trailer, they had pretty much closed off the grass part of the picnic area from other users. They had been there two nights that I know of – so had effectively decided that they could use the public parking and picnic area as a campsite. I don’t mean to sound holier than thou about this, but the point about wild camping, especially in the UK, is that you need to be discreet and respectful – otherwise local hoteliers, campsite owners and nimbys will all start complaining. This is usually followed by the council banning overnight parking, or in some cases (like Aldeburgh), banning motorhome parking on the sea front altogether. You may not agree with this, but it is what happens in the UK, and at this rate, it will happen in Scarborough. I know from a local friend that a group of local businesses are currently trying to persuade Scarborough council to ban motorhomes from parking on the sea front, as they believe they take business away from them. Can I ask a question my daughter has a considerably large campervan parked outside her house it is legally parked as far as I know but the van is large and road is narrow albeit cars can drive past. It’s most unneighbourly , they have only been there 18 months and are so fed up they are now going to move again! Why is there no restriction to camper vans on residential estates. My thoughts are if you can’t park it on your own land then you shouldn’t be allowed to force this parking onto your neighbours!